The ATA Language Technology Division page contains an interesting video featuring Jost Zetzsche. In the video, Jost explains how machine translation has rapidly evolved from a separate, quite isolated technology into a new concept that is very much integrated in other translation tools and systems used by human translators. 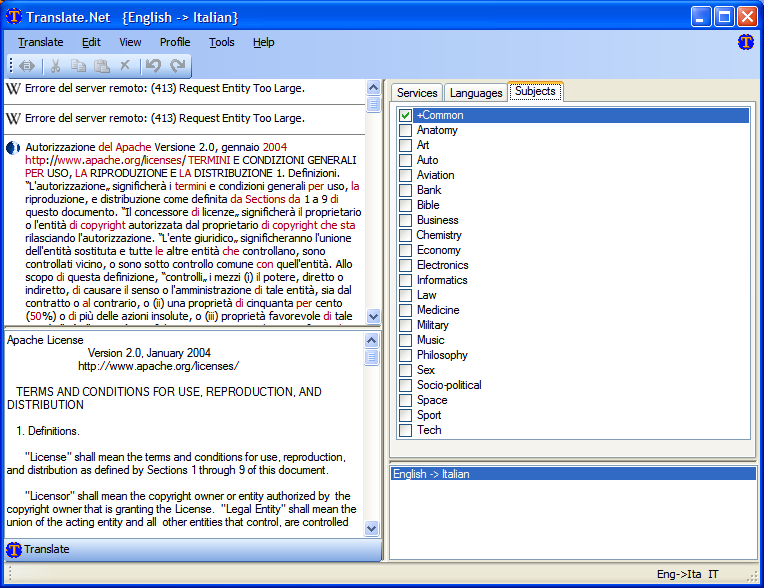 SDL, among other providers, has integrated MT into its mainstream translation memory tools. This means that translators are able to leverage suggestions from SDL’s own generic MT engine (which, according to Jost, very often produces a lot of “garbage”). Translators working for enterprise clients that have an account with SDL will also benefit from the client’s customized MT database, which supposedly offers better quality. It is expected that all the major CAT tool providers will soon follow suit. Google will soon introduce its Google Translation Center, which will allow translation buyers and providers to use a common platform for the exchange of translation jobs. Such platform will heavily rely on MT and TM technologies. The initiatives of TAUS – Translation Automation User Society are aimed at pooling the translated material of very large translations buyers (among which the EU, Microsoft, Oracle, etc.) in order to obtain better results with machine translation by leveraging the enormous amount of translated material produced by these organizations. The conclusion? According to Jost, translators will not be able to oppose the radical change that all this will cause, so they’d better face the music and start learning new skills, such as machine translation post-editing. Corinne McKay’s Thoughts on Translation blog contains a very interesting new post and comments about Google’s machine translation system. She experimented with the system and reported her findings. So, I decided to do my own unscientific test of what Google Translate is producing these days, using three different texts that are similar to what I might be translating on any given day: fluffy, dense and flowery. Let’s see how it did. via Thoughts on machine translation « Thoughts On Translation. 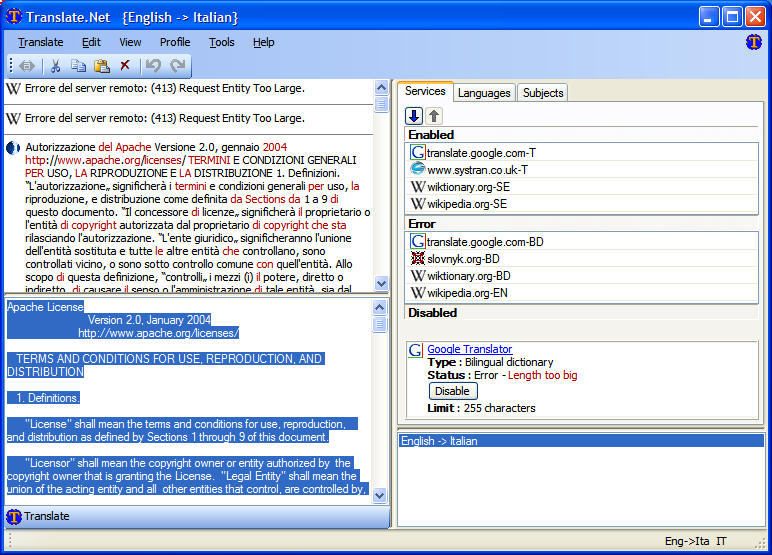 The Compendium is a long list of translation environment and machine translation tools, sorted by product name and by supplier, and containing links to the relevant websites. At 100+ pages, this PDF file is a very exhaustive source of information for people interested in computer-assisted and machine translation. New entries are in green. via Compendium of translation software: directory of commercial MT and translation tools. Google Translate can now detect the language of the source text pasted by the user. This service is rapidly growing into a solid option for fast , casual translations where the user needs to grasp the general meaning of a foreign-language text. In general, the translations seem to be better than the ones offered by other machine translation programs and services. Paste the source text into the bottom pane. The “Services” tab contains the translation engines that are available, based on your language combination and topic fields (see further below). The “Languages” tab contains all the language combinations available. The availability of any given combination, however, depends on the choices made in the next tab, “Subjects”. Not all translation engines are available for all languages, so your best option may be to select the subject first and then check if your language combination is available in the “Languages” tab. The “Subjects” tab contains specialization fields that you can choose based on the type of source text you need to translate. 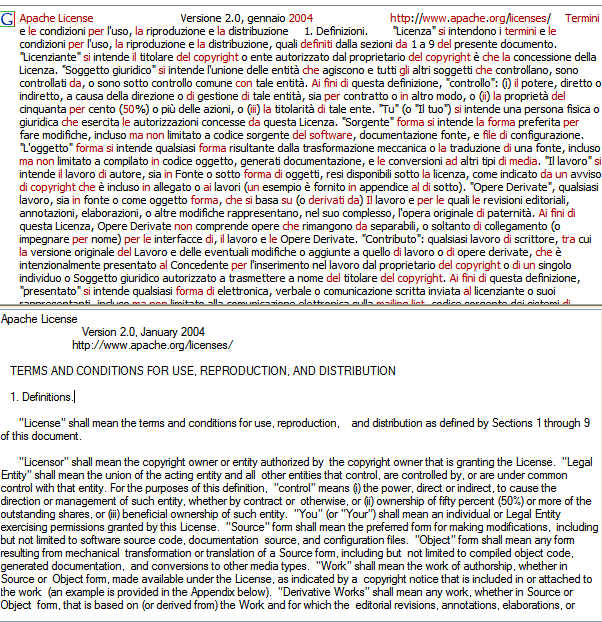 Unfortunately, “Law” seems to be available for Italian, but if you select it the language combination becomes unavailable, so we had to stick to “+Common”. After you’ve figured out your best options based on the language combination and subjects, click on the “Translate” icon on the bottom left corner. 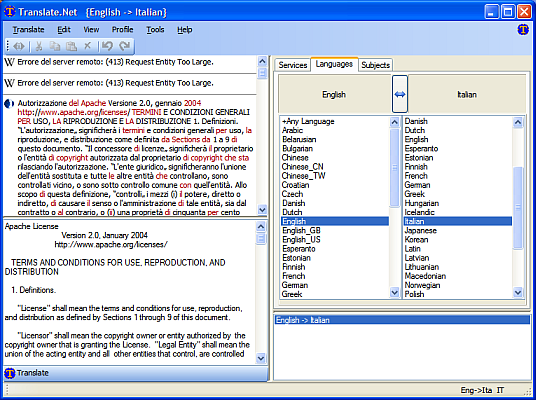 The top pane will contain the translated text delivered by the available translation engines. You may get error messages, for instance if a service is currently unavailable or if your source text is too long. In the screenshot below you can see the EN->IT translation of the Apache 2.0 license from the Google engine. The excellent freewaregenius offers an in-depth review with descriptions of the program’s features.